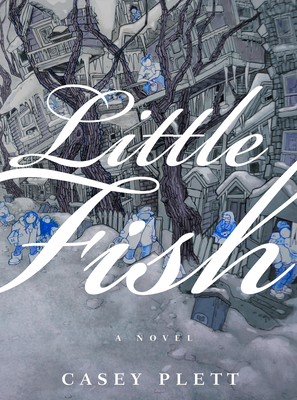 Little Fish took me into its arms and swallowed me until I disappeared completely, only to spit me out again with all my secrets laid bare under the piercing moonlight of Casey Plett's words. No other book has felt so fully like an author dipping their pen into the well of my soul; no other book has been this overwhelming. Little Fish took me into it's arms and swallowed me whole, until I disappeared completely, only to spit me out again with all my secrets laid bare under the piercing moonlight of Casey Plett's words. No other book has felt so fully like an author dipping their pen into the ink of my soul; no other book has been this overwhelming. Casey Plett is the author of the Lambda Literary Award-winning short story collection A Safe Girl to Love and co-editor of the anthology Meanwhile, Elsewhere: Science Fiction and Fantasy from Transgender Writers. She wrote a column on transitioning for McSweeney's Internet Tendency and her reviews and essays have appeared in such venues as The New York Times ArtsBeat. She is also the publicity and marketing coordinator for the publishing house Biblioasis.